Yoga Teacher Training Program :: FUSION Yoga Studio Sacramento, Inc. APPLICATIONS ARE BEING ACCEPTED NOW ! Reserve your spot early ~ this popular program fills up fast! Our 200-hour yoga certification course (recognized by Yoga Alliance), is open to those who want to teach yoga, but may also be taken by those who are not necessarily intending to become yoga instructors. Many students pursue teacher training not because they want to teach, but because they love yoga and want to learn more. Teacher Training is a wonderful way to deepen your practice and take it to a new level! While there are some programs that train teachers in less time than ours, we feel that a longer program gives student-teachers an opportunity to integrate what they’ve learned. (There is no substitute for having the time to put into practice what you are learning!) Our program is structured in a way that allows students to complete their training while accommodating career and family commitments. (A few week nights are included in order to give student-teacher live teaching opportunities. Make-up options are available). Early application and payment in-full reserves your spot in the program. Please note that class size is intentionally kept small so that Lori can provide quality attention, support, and mentorship to each student teacher. As such, space is limited. Cash, check or credit cards (Visa, MasterCard or Discover) are accepted. Payment arrangements *may* be considered for those in need. Prerequisites: Although anyone has the potential to be a great yoga teacher, having a regular yoga practice and general familiarity and knowledge of yoga will greatly help and accelerate your learning on the teaching path. If you’re planning on teaching, it’s recommended that… 1) applicants have a regular, consistent practice for a minimum of 1-2 years…. 2) Have taken a few classes with Lori (to make sure you’re a good match for each other), and… 3) a willingness and dedication to commit to self-study/home-study. If you’re simply wanting to learn more (and not teach), there are no prerequisites other than a willingness to learn. Procedure for Applying: If you are wanting to apply for our Teacher Training course, please complete an Application Form available at the studio or on our website or click the link above. You will be notified of your acceptance within a week of our receiving your application. An application fee of $50 must be included with completed application form (payable to “Fusion Yoga Studio”) which will be deducted from full tuition upon acceptance of application. If your application is unsuccessful there will be no charge and your deposit will be refunded. Want to get started RIGHT AWAY..? If you’re accepted into our program and you’re motivated and inspired to get a jump start, you can use the time between now and the official start date of January 1 to begin your required reading assignments (and possibly some of the homework assignments too). Getting started early is an option for those that are interested in doing so — it is NOT necessary or required. For more information: If you have any questions or concerns about the program, call contact Lori directly at (916) 600-6557 or email Lori@FusionYogaSac.com. 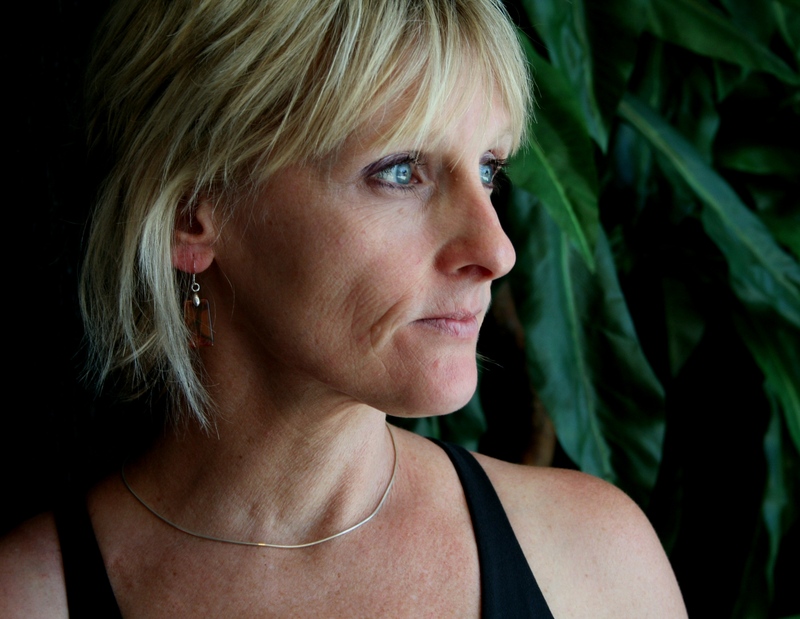 Lori McCormick (formerly Lori Moore) is the director of Fusion Yoga Studio Sacramento, Inc. Teaching yoga and running a successful yoga studio has been Lori’s passion and full-time career since 2004. She has more than 11,000 hours of actual teaching experience and well over 500 hours of continuing education from various programs and workshops. Formally trained in the Ashtanga yoga tradition, Lori has studied with Ashtanga yoga master David Swenson, Seane Corn and Shannon Wells and has completed a one-year training program in Somatic Yoga (yoga therapeutics/yoga therapy) with Eleanor Criswell. She has also completed an Advanced Teacher program at White Lotus with Ganga White and Tracey Rich. Through her participation in various intensives, she continues to be inspired by many remarkable teachers including Gary Kraftsow (therapeutics), Judith Lasater, Doug Swenson, Shiva Rea, Ana Forrest, Erich Schiffmann, and many others. She prides herself on learning and understanding the body’s dynamics having studied anatomy under Mark Uridel, Peter Ehlers (Tom Myers Anatomy Trains), and Joe Barnett. Additionally, she is an avid reader and has read several hundred yoga, anatomy, and meditation books, as well as relatable books on psychology, trauma, PTSD, depression, pregnancy, relationships, spirituality, and more that correspond to her students’ needs. Lori strives to be the teacher that she would want to learn from. While she has trained with many outstanding teachers, she has also learned through years of experience from her own personal practice. To this day, she maintains a consistent personal practice and believes it’s an integral part of her over-all well-being. She finds it also serves as a source of inspiration for her teaching. Lori blends her teaching experience, personal practice experience, her knowledge and passion for teaching into a non-dogmatic style that’s supportive and nurturing to ALL physical levels and abilities. She is proficient at teaching mixed level classes, where she is able to challenge the most advanced student while modifying the practice for those with injuries or who are less familiar with yoga. She enjoys teaching classes that are energetic, playful, and exploratory, yet she emphasizes being mindful and using proper alignment and form in order to avoid injury. She applies principles of anatomy and function to her teaching so that each student learns how to practice safely for their unique body and abilities. Her intention is to help students use the practice primarily as a healing art (rather than as a workout) – teaching them to practice safely so that they will be able to continue practicing yoga for a lifetime. She creates a space that is safe for exploration and growth and gently guides her students to trust their inner teacher while supporting them on their journey. Aside from teaching, she has almost 30,000 hours of experience in operating a successful studio. She currently runs and manages Fusion Yoga Studio (a single venue which houses three separate studios and a healing room, and offers over 35 classes per week). She is the former owner of My Yoga Lounge (2004-2009) in Sacramento. 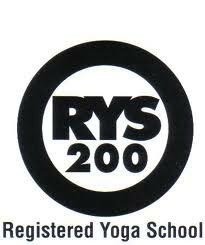 “I have been a yoga and pilates teacher in this area for nearly 15 years, and am an E-RYT 200 certified teacher. I have taken classes, workshops and teacher trainings from many ‘big name’ teachers over the years; I’ve learned things from all of them. I have developed my own ‘style’ of teaching that is a blend from all the things I’ve learned either as a student or a teacher. As well, I’ve practiced at nearly every studio in our area, and many in the Bay Area or beyond. Last year I was invited to teach at the Wanderlust Festival, in Squaw Valley, and got to be up close and personal with many accomplished teachers in the art of yoga, in all its forms — hatha, yin, power, pranayama, meditation, et al. and while they are impressive in their own rights, I can honestly say that Lori McCormick is one of the best yoga teachers I’ve ever had the honor of learning from. Every time I step into the studio to teach or practice, it is still and always Lori’s words, lessons, and knowledge that I bring with me as I teach. I have never learned so much about yoga as I did in Lori’s teacher training program — it is comprehensive in every regard. Her knowledge of anatomy, of sequencing, cueing; her mastery of HOW TO TEACH safely and with total concern for the student. She is ethical, compassionate, well-versed in the history and spiritual aspect of the practice, and allows each student (whether in her classes, or in her TT programs) to explore their own particular voice and passion. I had been pursuing my 200-hour yoga teacher training through another program when I moved to the Sacramento area. After attending classes at Fusion Yoga for several months, I was intrigued by the structure and sequencing of Lori’s classes. While not what I was accustomed to, my body and spirit responded so positively to this practice that when Lori announced an upcoming teacher training, I decided to start over with her. 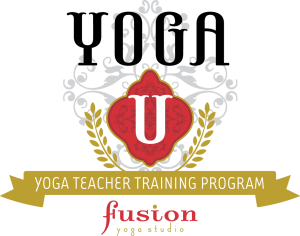 The teacher training program at Fusion Yoga is not a cookie cutter curriculum. It is a personalized program and experience. In sharing her authentic experiences as a student, instructor, and business owner, Lori engages her students in thought-provoking, meaningful discussions. With some freedom to choose areas of studies within the framework of the curriculum, students can individualize their training experiences. “After practicing yoga for over ten years, and recently becoming an ‘empty nester,’ I gave myself the ‘amazing gift’ of Fusion Yoga’s Teacher Training Program with Lori. Her program is extremely in-depth and personal. Lori has an extensive knowledge of all aspects and styles of yoga, which she enthusiastically shares and demonstrates. As I experienced in her classes, she conducts the program very professionally, showing her integrity as well as her commitment and compassion for her students. The camaraderie with my fellow trainees strengthened over time. We shared laughs, sore bodies, tears and celebrations. We watched each other grow and learned to rely on one another for honest input. “Lori is a true guru. She brings humility, humor, joy, and so much knowledge to her program. I completed Fusion’s Yoga Teacher Training Program in 2016. The program was individualized, challenging and filled with compassion, just like life and yoga. Lori pushed me to be my best self. “I am a December 2012 graduate of Fusion Yoga Studio’s 200-Hour Hatha Yoga Teacher Training Program and a dedicated yoga practitioner who would love to recommend Fusion Yoga studio. I would like to share my appreciation for the sensitive, knowledgeable, wise, and inspiring guidance Lori McCormick gave me throughout the Teacher Training Program, as well as for the high standards maintained and warm, caring teaching offered by all Instructors at the comfortable, clean Fusion studio. Lori’s anatomical knowledge, deep life experience, spiritual and compassionate character, and personal commitment to yoga and health give the Teacher Training Program authenticity and power. Lori’s daughter, Lindsey Bronner, completed the Teacher Training Program with me, and I was so impressed to see the high standards of interpersonal ethics and love shared by the two. I was challenged intensely in the Teacher Training Program, but never injured myself (a good sign that there is balance and awareness being practiced) and I learned so much, both intellectually and in my body. As a result, I stepped past my former limits and was reborn through completing the 200-Hour Training. “The knowledge and experience that I took away from the Teacher Training program at Fusion has been life changing. Lori directed the program with such confidence, grace and true passion as she created teachers of us all. Not only does Lori provide the trainees with tremendous amounts of information on the practice itself, but also she makes SURE that each student finds their confidence and unique presence on the matt as a teacher. Lori taught me how to find my inner voice, my strength and provided a lifetime worth of knowledge so that I am able to teach where I am at today. “After more than a six-month period of research into yoga teacher training, I chose Fusion Yoga Studio for my training. As I spent time practicing there and other places prior to making my decision, I came to know a yoga community at Fusion Yoga Studio full of grace, insightful experience, and a knowledge base unrivaled in my 20+ years of yoga practice. It became clear to me in my time at Fusion that there was no question as to where I would attend teacher training. “In addition to cultivating an environment of true learning, Lori McCormick understands teaching the teacher. Lori’s thorough and thoughtful instruction helped me obtain an education that goes beyond just the physical teaching of yoga into one of a teacher’s relationship to safety, quality, and understanding of yoga teachings and responsibility to students. “I recommend Fusion Yoga Studio’s yoga teacher training to the person who wants to teach yoga rather than lead a yoga class, come to a greater understanding of themselves and their yoga practice, and learn in an environment that fosters a sense of a larger community. “I am thankful to say that I have made lifelong friends in my teacher training. I am also grateful that although I live in another state now, I consider Lori McCormick as my Yoga Mentor and Fusion Yoga Studio as my yoga home.